Gems of India is one of the itineraries provided by Maharajas’ Express. 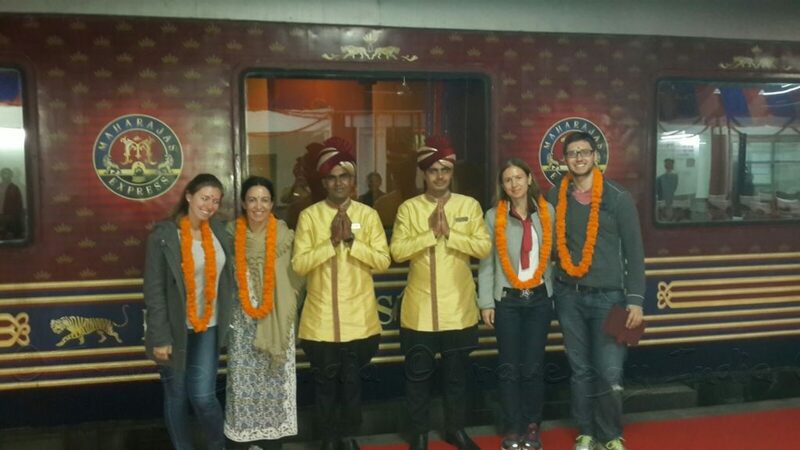 Maharajas Express is a luxury train of India that is one of the costliest and most luxurious trains in the world. It offers many itineraries and among them, Gems of India takes you on a royal vacation that would showcase the cultural wealth and heritage of the country in just a few days. Gems of India is a tour that stretches for four days and three nights. The tour starts and ends in New Delhi. 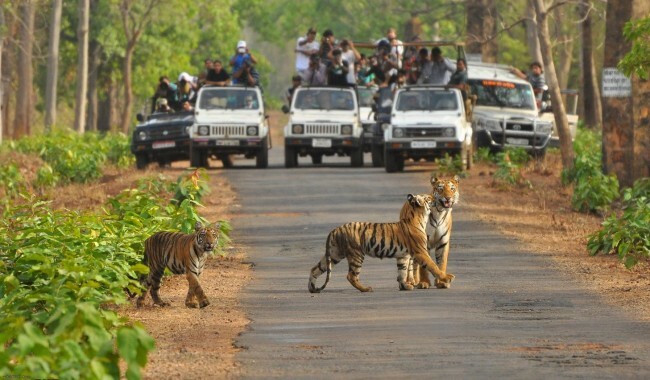 This tour covers Agra, Ranthambore and Jaipur including surrounding areas. The tour covers 859 km in total and these destinations have more than just culture and heritage to offer. On the first day, tourists check-in and complete all formalities. They are welcomed with Indian styled welcome ceremony at Safdarjung railway station of New Delhi. There is nothing much to do in terms of sightseeing on the first day. 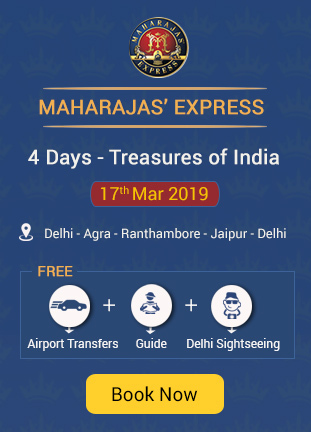 Maharajas Express train starts its travel towards Agra and guests are more than welcome to roam around and utilize all amenities inside the train. The dinner is served on-board. The train reaches Agra by early morning and tourists are escorted to their cars or buses for sightseeing. Sightseeing includes many monuments including Taj Mahal. These are historic monuments and Taj Mahal is a world wonder. It is a marble mausoleum which was built for a Mughal queen. After a champagne breakfast in a hotel that overlooks Taj Mahal, travellers can get down to shopping. Shopping is optional here. If you are not a shopaholic, you can take up a tour to Fatehpur Sikri to enjoy the civilization of Mughal empire in India with this walled ancient city which is a little away from Agra. It is a fully planned structure that was built by King Akbar. There are numerous attractions and monuments inside this walled city. By evening, tourist can either get back to their cabins for some luxurious treats or enjoy Mohabbat-e-Taj show, a cultural show. By late evening, the train starts its travel towards its next destination. The train slowly reaches the next destination, Ranthambore by very early morning and the first and the best activity here is jungle safari at Ranthambore National Park. It is one of the top wildlife habitats in the country that covers 392 square kilometers. There are many exotic and tropical animals in this park. There are also numerous birds here. The whole morning is spent with safari and spotting wildlife. After this safari, tourists are guided towards the train. The train immediately moves towards Jaipur which is about 130 km away. By late morning or early afternoon, the tourists will find themselves in Jaipur. During this travel, the tourists can enjoy all services and amenities inside the train. The sightseeing starts immediately and top destinations picked are Amber Fort, City palace, Rambagh Golf Club, Jantar Mantar and many others. Other activities like shopping, relaxing at SPA, golfing and others can also be enjoyed during this trip. This trip ends by evening and guests can enjoy elephant polo match. The game is literally what it means. By late evening, tourists are escorted to the train. The train starts its final journey of the tour. The train reaches Delhi by morning. The breakfast is served inside the train and after other required formalities, the Gems of India tour that covers the famous Golden Triangle of India concludes. Tourist can take up their vacation on their own from there. 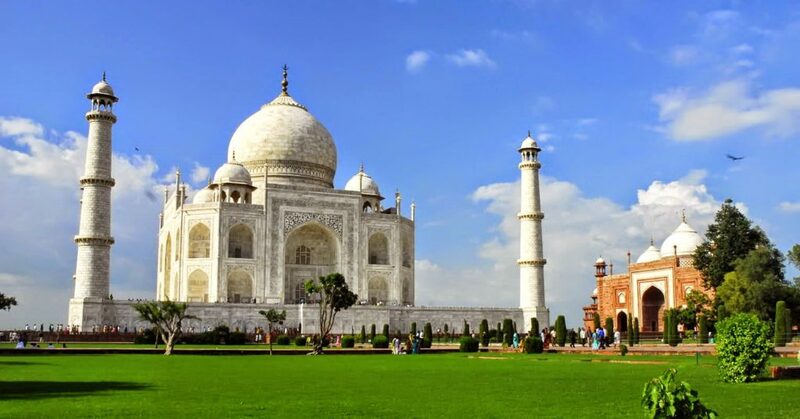 This is a royal journey that includes all important monuments and attractions in Golden Triangle tour of India. This tour includes monuments exploration, sightseeing, natural attraction, shopping, sports, cultural events, luxurious dining experience and many others.